So I need to be truthful here. I have spent the majority of my life despising the Garbanzo Bean. I’m not even really sure why, but it’s probably because it was something I was forced to eat as a child! (I mean really, isn’t that pretty much what we blame a lot of our quirks on?) And then a surprising thing started to happen. I had to change my diet and try all kinds of new ingredients in ways I never really imagined. Like hummus, which I was surprised to find out is quite good! Once I convinced myself that maybe I’d given the garbanzo bean a bad wrap, then I moved on to Bob’s Red Mill All Purpose Baking Flour. I was being adventurous and trying new things, and if it meant I could eat a “bread like” item, why not? 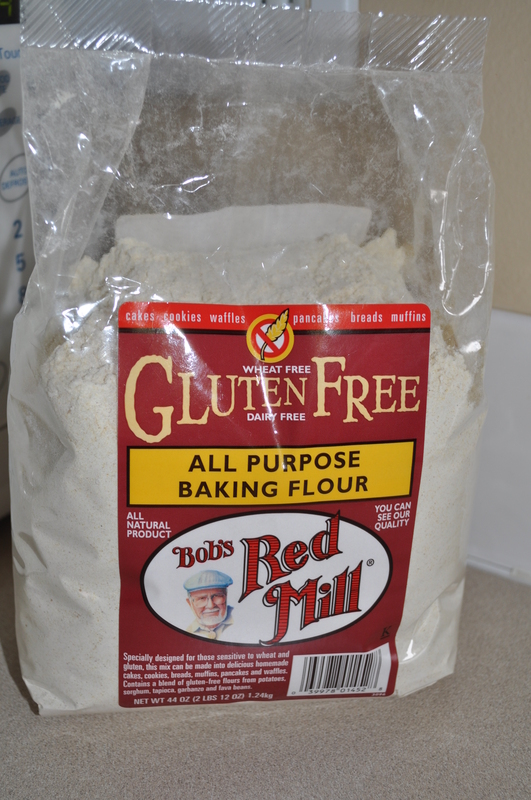 Bob’s Red Mill All Purpose Gluten Free Baking Flour is made with a combination of garbanzo bean flour, potato starch, tapioca flour, white sorghum flour, and fava bean flour. It does have a “taste”. Kind of a slightly sour, beany flavor. Before I lose you, let me explain. In certain recipes, it’s absolutely wonderful. The beans also add such a wonderful, moist, consistency to breads and cakes. I typically use this flour for banana bread, following the recipe right on the back of the flour bag. I add a little of this and that (like extra banana and a good half-inch of brown sugar on the top before I put it in the oven) and put my own flair into it, but I’m basically following the recipe. I also use it to make an amazing (if I do say so myself!) gluten-free German chocolate cake. So, if you’re feeling a little uncomfortable with bean flours, I urge you to take a bag home, experiment with it a little, adding (chocolate, banana, coffee…stronger flavors) things that will compliment instead of compete with the uniqueness of this flour. I promise, you won’t be disappointed!